Do you sell framed prints? Framing is available on request for Paper, Lumichrome, Gallery Wraps, and Metal Prints. Contact us for framing options. Are your prints “archival”? All prints, including Paper, Lumichrome, Gallery Wraps, and Metal Prints, are produced with archival materials. What type of paper do you use? We use a heavyweight exhibition quality paper with a soft luster finish. How do you sign prints? We sign prints on the lower right corner of the image. On request we can sign prints on the back of the print or border, if present. 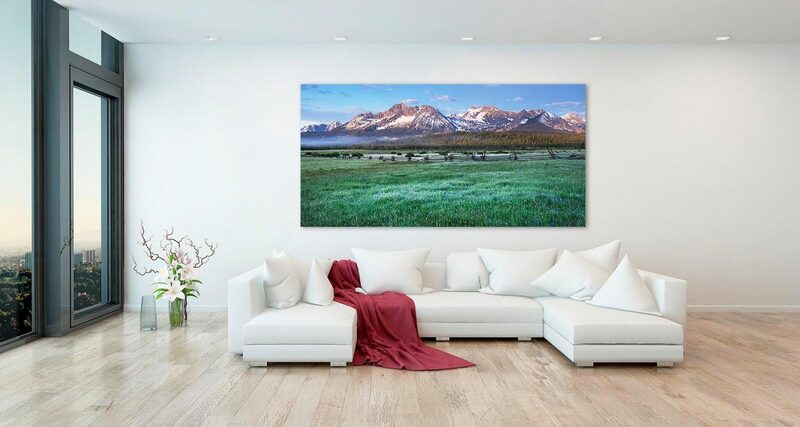 What is the advantage of Metal Prints, Lumachrome, and Canvas Gallery Wraps over Paper? Metal Prints and Gallery Canvas Wraps do not require a frame and are ready to hang on your wall. Paper prints need to be mounted on a substrate, or matted and framed to display on your wall. Will my print match what I see on your website? We strive to have images appearing on our website match the final prints as close as possible. However, due to variations in different monitors, prints might not match your display screen. In all likelihood your finished print will look even better! How do I purchase prints? Easy, just browse through the galleries and click on the image you want to purchase. Select your desired size and print style from the drop-down menu and click “Add to Cart”. Proceed to checkout and enter payment info to complete order! Do you offer custom sized prints? Yes, in most cases we can print different sizes and accommodate other formats, such as square. What are your prices? Please visit our About Prints page to view our prices. Do you offer discounts? Yes! We offer discounts for quantity orders and special projects. Click here for more info. What forms of payment do you accept? We accept all major credit and debit cards. We also accept payment via PayPal. Can I arrange a meeting to see print samples or discuss a project? If you are in the greater Seattle area and north to Bellingham, Washington we can arrange to visit your office or residence with samples and discuss your project. Do you license your images as stock for commercial usage? Yes, you can contact us directly about your usage needs. Also, visit or partner site, www.alanmajchrowicz.com, for more information. Are Alan Crowe and Alan Majchrowicz related? Yes, Alan Crowe Photography is a trade name owned by Alan Majchrowicz. Crowe is taken from the middle syllable of muh-crow-vitch. Crowe is much easier to pronounce, spell, and remember. How long will it take to receive my order? Normally we have your prints ready to ship within seven business days. However, if we are photographing on location, or materials are on backorder it could take longer. In these cases we will notify you of any delay. How do you ship prints? Paper prints are shipped rolled or flat depending on size. Metal Prints, Lumachrome Prints, and Gallery Canvas Wraps ship flat. How much does shipping cost? Shipping is free to destinations within the United States only. However, large orders may require additional charges. Click here for more info. What methods of shipping do you use? We use UPS, USPS, or Freight Carriers, depending on size weight and destination. Other carriers, such as FedX are available on request. Do you ship internationally? Yes, we will be happy to ship your prints anywhere in the world! Please contact us before ordering to discuss shipping costs and methods.